“The good thing about Noh no Ikebana is that we can enjoy it with free ideas. It’s not just fun. It gives me new insights as I work together with friends. We show vegetables and flowers and ask each other questions, like when I should plant them or how we can cook them. I learn from others about vegetables I don’t grow or cook at home. 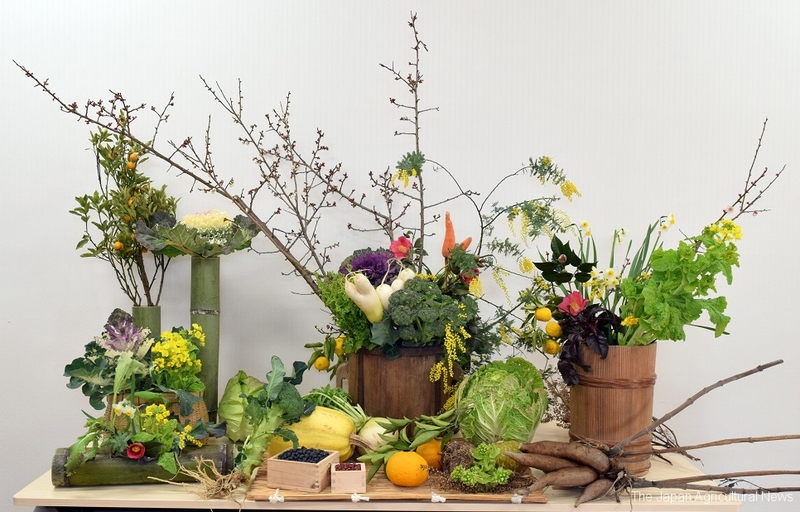 The theme of this arrangement is “Look; I found the spring!” The materials are vegetables and flowers in early spring. <Container and tools> An ittomasu (old measurement container, a bucket, a bamboo basket, measuring boxes, etc. 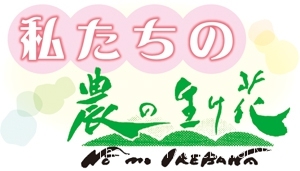 <Materials> Butterbur sprouts, broccoli, field mustard, yacon, a cabbage, a Chinese cabbage, and Chinese citrons, etc.